-When was the last time you told someone “I love you”? -When was the last time you showed someone that you love him/her? -Is the love that you have unconditional? I know there are times when I disappoint God and there are times when I may have broken His heart, yet He still has the capacity to love me…in spite of me. He saw the best in me, when everyone else around could only see the worst in me. His love is steadfast and unmatched, He gave His only begotten Son just to show how sacrificial and unselfish His love is. What an example! The least I can do as an expression of my gratitude for this extreme act of loving kindness is to do as He has commanded. 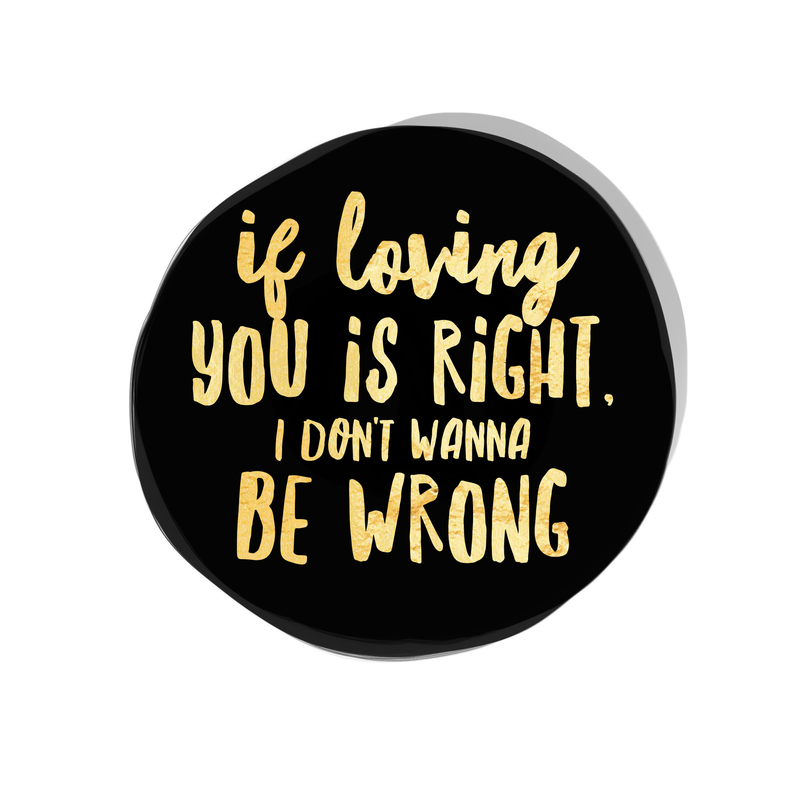 If loving you is right, I don’t want to be wrong! Just as He loves me, flaws and all, I extend the same to my fellow brothers and sisters. I remember learning of a lady by the name of Edith Childs about 10 years ago. If you recall during the campaign of former President Barack Obama, there was this catchy chant: “Fired up! Ready to go!”. Apparently Childs, a councilor in Greenwood, SC, was responsible for getting this chant going. Since it’s popular debut in 2008, I must say that I find myself saying it often when I’m on assignment or on a mission. The truth is, I’m passionate about serving and I can’t help but to be fired up and ready to go! There are, however, times when being motivated is challenging. When life happens, it can sometimes be overwhelming and draining. During these times I’m reminded of the account in Daniel Chapter 3…when Shadrach, Meschach, and Abednego are cast into the fiery furnace which was punishment for those who failed to compromise and bow down to the decree of King Nebuchadnezzar. In the case of these 3 fellows, they weren’t just thrown into the furnace: they were first bound and the furnace was heated seven times hotter than usual. Yet, they remained steadfast. While in the fire, two things were discovered: they weren’t alone and they weren’t consumed. We learn from this passage that when we purpose in our hearts to honor God because we are passionate about His love and His will for us, though He will allow us to be tested, He doesn’t desire for us to be consumed. They say “He’ll turn your test into a testimony.” I can say I’ve had to endure many tests and have had to do so all the more since I’ve given my life to the Lord. From dealing with sexual abuse earlier in life to trying to balance between home, work, ministry, and self: there have been maaaaaany tests. From them I have a testimony and that is: “I’m fired up and ready to go!”. Not only do I have a testimony, I’ve got a song. “Through the fire, to the limit…Through the fire, through whatever!”. Christ’s purpose fueled His passion. How could one be so passionate…even to the point of death? When you understand your purpose, you’re willing to go through whatever, come what may, to fulfill it. In John 4:34 (AMP), Jesus said to them, “My food is to do the will of Him who sent Me and to completely finish His work.” He consumed purpose so that nothing else would consume Him. That same mind that Christ has is the one we’re encouraged to also have in us. 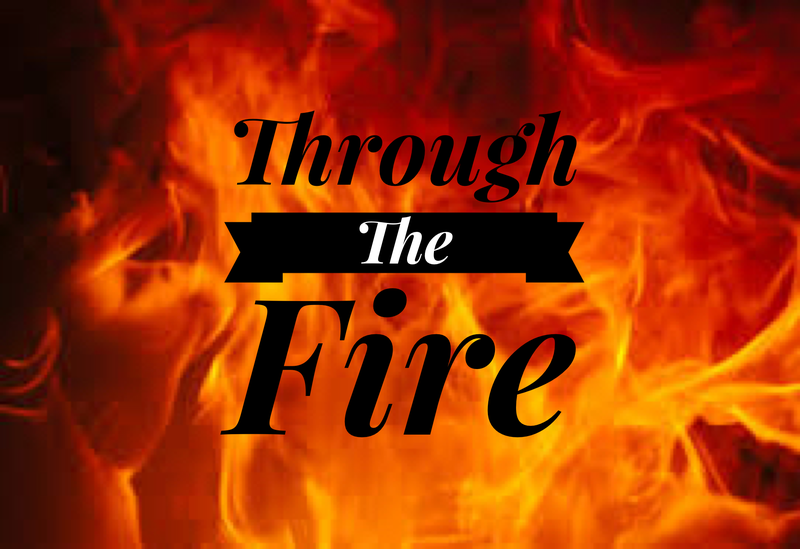 When we adopt a Christlike mindset and are as steadfast as Shadrach, Meshach, and Abednego we can also go through the fire and not be consumed. 1) Pause to celebrate the small victories. 2) Renew your mind daily. 3) Surround yourself with firestarters. 4) Feast on His Word, so you can discover and absorb your purpose. These helpful hints can help us go “through the fire, to the limit…through the fire, through whatever!”. A couple of weeks ago, my youngest son was responsible for completing a project for his World Culture class. The instructions were to “create a colorful collage containing pictures of American leaders in all fields of Black history” on the front and, on the back, place the bios of 5 chosen leaders & the bio of a person who has had a significant impact in his life. For the person who has had a significant impact on him, he chose his father. He diligently put the finishing touches on the board the night before the due date. The following morning, I decided to read the bio he wrote on his father and there were three words that stood out in his writing: NO MATTER WHAT. He wrote them in the body of the bio and then repeated them separately at the bottom of the page. For some reason, these words grabbed me and made me think of God’s love and His grace. I thought “What a great thing I could write my next blog about!”. It’s something that I’ve experienced and embraced time after time and, when I think about it, I’m brought to tears of gratitude. If you’ve never experienced this TRUE love, then you don’t understand how to love in that way. God’s love is without boundaries: it’s unconditional. In other words, God loves us NO MATTER WHAT. The question is: “Do YOU have the same capacity to love NO MATTER WHAT?”. I think we must first understand what love is and is not. When you love someone, it doesn’t come with strings attached. That’s the way God love is. It doesn’t keep record of offenses, it’s patient, and it seeks to give. I mean, God loved us so much that He gave His ONLY begotten Son! Are YOU willing to give a love that wasn’t earned? That’s the kind of love God freely gave to us. It was free to us, but it cost a life. No one has greater love than to lay down his/her life. God did this for us in spite of our sins. As a matter of fact He did it because of our sins. How gracious and merciful is that?! When I consider some of my thoughts, words, and deeds and how God knew them beforehand and then I realize that He gave me a waiver for the cost of sin, I’m both grateful and encouraged to extend the same sacrificial love to others. You can only pour out what you’re filled with…receive the love God has for you so that your capacity may be stretched to love others without limits…to love NO MATTER WHAT.